Free until 20 April 18 but only at Smashwords here . 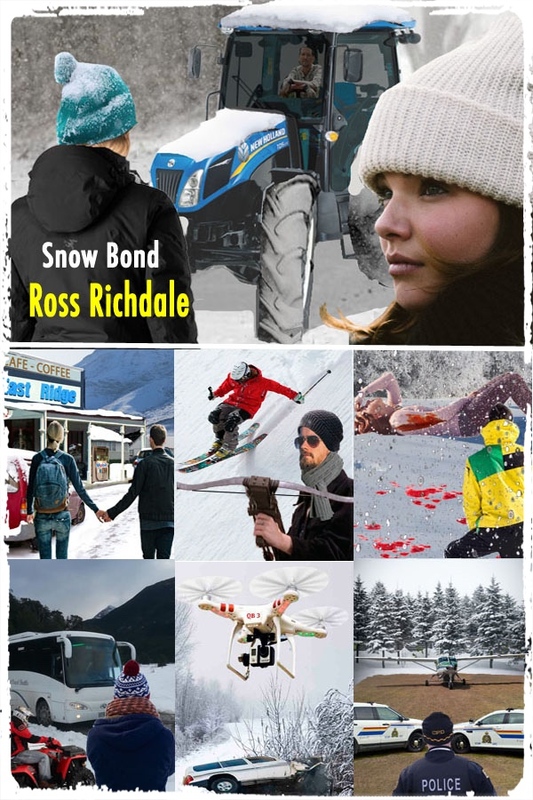 As an introduction to my Romantic Thrillers, Snow Bond will be free for a month. This is my second to newest novel using this theme. My latest novel, Blossoms in the Wind is on sale for $US2.99. Scroll down for more info. Ian is a lawyer who works for the Crown Prosecutors Office in Auckland. He tells Renee that her ex-husband is being investigated for murder of his child and attempted murder of a partner after a car crash. However, there is not enough concrete evidence and circumstantial evidence is needed to show Larry Brooks violent past. Ian came down to the South Island to try to persuade Renee to be a witness at a trial that may eventuate. During their isolation at East Ridge, the five find they are being stalked and later attacked by an armed criminal but who is being targeted? Is it Aza who is a threat to the professor at the university, Renee by the violent Brooks or Ian, the lawyer out to build up a case against him?